"I am Italian born and raised in Boiano, south of Rome, so I love kindness, generosity, high culture, real friendship, great coffee, stylish clothing, courtesy, and deeply personal service, all of which I have found in the law offices of Bernard Walter for many years. He has helped me with legal issues both in Italy and in America. Not only an excellent lawyer preventing or solving problems, he makes award winning wines, another challenging mix of knowledge and art. I highly recommend Bernard to you." "Bernard is the opposite of the negative stereotypes of lawyers - he's deeply caring, he answers his own phone and returns phone calls, he's fast and efficient, he seeks to minimize stress by seeking win-win solutions to problems, and he is committed to serving the interests of justice. I have worked with many attorneys in my career, but he has proven to the best during over twenty-five years of working together. No one writes a better letter that combines clear legal analysis with gentlemanly firmness." "Mr. Walter was very kind, thoughtful, and professional helping us through the probate process of two deceased relatives. I would highly recommend him for anyone looking for an attorney." There's nothing more important to you than the well-being of your loved ones. For the benefit of your family, it's important to have plans in place to take care of them when you're no longer able to do so. Don't wait until tomorrow — make plans today and discover peace of mind. Depend on us to support you with an impressive variety of legal services for protecting your family. With such serious matters, it's beneficial to consult with an experienced attorney. We'll walk you through every step of the process and ensure you feel comfortable from start to finish. To get started, contact us today or visit us our offices in Shavertown, Pennsylvania. Come Take A Video Tour of My Office ! To satisfy clients' legal needs quickly, proficiently, flexibly, and economically by listening carefully, questioning thoughtfully, researching thoroughly, moving pro-actively, and seeking justice as a creative problem-solver, ever watchful for win-win strategies and solutions. This commitment coupled with long hours of hard work is the foundation upon which this law office has been and will continue to be built. 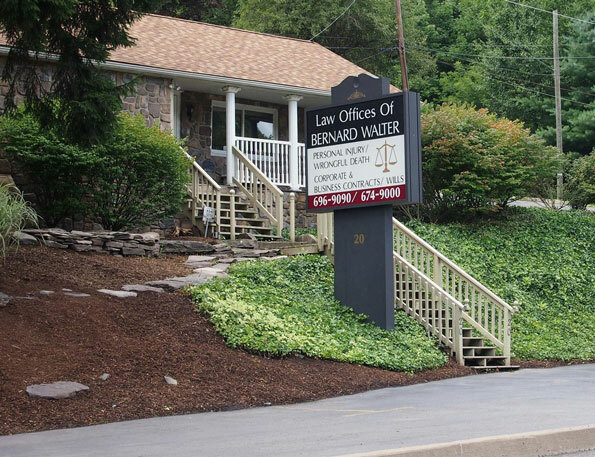 The people of Luzerne County depend on the Law Offices of Bernard Walter for an impressive selection of legal services. As an attorney-at-law, Mr. Walter is known for his dedication to his clients — he is committed to serving them in the interest of justice. 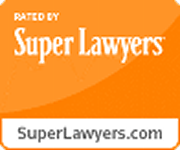 For him, the practice of law is a community service with which he can better the local area.